Kapil finished schooling in Physics, Chemistry and Mathematics from City Montessori School, Lucknow. Thereafter he decided to switch over to Commerce and did a B Com from Lucknow University. Next, he earned M A Economics from the Jawaharlal Nehru University in New Delhi. Parallel to his college education, Kapil also qualified as a Cost Accountant and as a Professional Programmer. Kapil started his career in Decision management with GE Corp in Bangalore and then moved on to Prudential Plc in London. Having gained 4 years of work experience he earned a scholarship to study MBA from IESE Business School in Barcelona which is ranked amongst the top 10 Business Schools in the world. 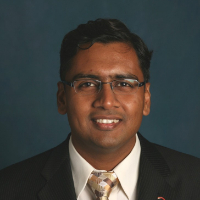 After his MBA, Kapil started working with Citibank in New York as a Financial management Associate, he subsequently worked with Citibank in London, Dublin, New Delhi and Mumbai doing Innovation Management and Product Management. At the age of 29, Kapil became one of the youngest Vice Presidents in Citibank and at the age of 33 he quit his corporate career to pursue his long cherished vision of helping students take smart career decisions. He is currently the Founder and CEO of LifePage. "After 2 years of financial management and 2 years of innovation management at Citibank, I took a transfer to India where I worked as the Liabilities Head for Citibank managing both the domestic as well as NRI market." Start-up Entrepreneurship is the entire gamut of activities related to conceptualizing, financing, developing, testing, marketing and managing a Start-up. A Start-up founder needs to start with an idea he/she feels extremely passionate about and then step by step build a product which is viable in the market. "I have been working on the concept of LifePage since 2005. In 2012, I quit my corporate career and started working on it full time." Innovation management includes a set of tools that allow managers and engineers to cooperate with a common understanding of processes and goals. Innovation management allows the organization to respond to external or internal opportunities, and use its creativity to introduce new ideas, processes or products. "I worked for Citibank's Innovation Center for Excellence in Dublin and was responsible for managing two significant innovations in the Global Transaction Services business." "I did MBA from IESE Business School, Barcelona. After MBA I joined Citibank’s Financial Management Associate program in New York." Use of computers allows organizations to collect enormous amount of data. Decision Management is tasked with analyzing this data to help take smarter business decisions. These decisions can comprise of anything and everything, like which advertisement to show to a particular user on Facebook or which credit card defaulters to call and when. "After M A in Economics from JNU, I started my career as a Business Analyst with G E Corp in Bangalore. In my almost two years there I was responsible for making data based collections strategies for two large US retailers with several million defaulting buyers."